With the introduction to "Sri Ramanin Padhaiyil" in our previous post, we will continue with the information provided in Episode 01 of Sri Ramanin Padhaiyil by Sri Velukkudi Krishnan. It is said that Rama Nama has come into existence much before the birth of Lord Sri Rama. It is said that the word Rama is divided into syllables Ra + Aa + Ma; Ra means Rudra; Aa means Brahma; Ma means Vishnu and the confluence of the three lords Brahma, Vishnu and Maheswara is Rama. The word Rama is a confluence of two letters Ra + Ma. It is believed and said that these two letters are Jiva akshara (life giving letters) carved in the most significant Mantras the Narayana Astakshari and Shiva Panchakshari. Generally people can be divided into two broad categories: the Shaivites, who worship Lord Shiva as the supreme, and the Vaishnavites, who worship Lord Vishnu and His forms as the the supreme Being. The most significant Mantra for any Vaishnavite is the 'Ashtakshari' (it contains eight letters in sanskrit) mantra 'Om Namo Narayana'. The chief among the Mantras for the Shaivites is the Panchakshari (5 lettered) mantra, 'Om Nama Shivaya'. Without the letter ‘ra’, ‘Narayana’ would read as ‘Nayana’ that means one without a way (‘gati’); without the letter ‘ma’, ‘Namasivaya’ would read as ‘Nasivaya’ that means inauspicious. Without these two letters, these mantras become ineffective. So the Jiva Akshara (life giving letters) 'Ra' and 'Ma' of these two Mantras are put together to form the Rama Nama!. Anyone chanting this Divine Name thus worships both Shiva and Vishnu at the same time. It is only Rama Nama which is equal to a thousand names of Vishnu. Perhaps the above sloka indicates that chanting of Rama once is equal to 10 times chanting of Vishnu, chanting of Rama twice is equal to 100 times (10 x 10) chanting of Vishnu and chanting of Rama thrice is equal to 1000 times (10 x 10 x 10) chanting of Vishnu. It is believed and said that Lord Shiva always keeps meditating on this Taraka Mantra. Good advice is like a bitter medicine. But we must take it if we are to be healed. Sita Herself advises Ravana and tells him to give up his unjust desire. Vibhishana tells Ravana that if a man is righteous, then even birds and animals will help him. But if he is wicked, his own kith and kin will desert him. And this is what happens in the Ramayana. Even monkeys and other animals help Rama, but Ravana's own brother Vibhishana abandons him. 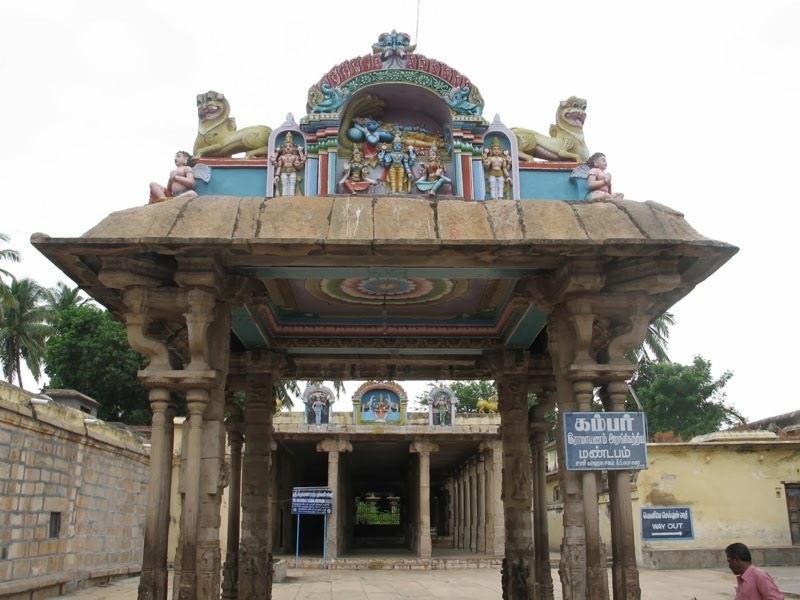 Kamba Ramayana was first delivered in Sri Ranganathaswamy Temple, Srirangam at the court hall (Kambar Arangetra Mandapam) near Thaayar sannithi. Legend says that, when Kambar receited Shri Kambaramayanam in that place, the Narasimha Swami from his Sanctum Sanctora (Mettu Narasimhar Sannidhi) applauded (show approval or praise by clapping) at his poetic expertise and acknowledged it by saying "yes it all happened". catur-gakara-samyukte punar-janma na vidyate - Verse tell us the importance of four "Ga"
Meaning, ‘when the four that begin with the consonant ‘ga’ are integrally present, the four being Ganga (the river Ganges), Gita, Gayatri and Govinda (standing for God’s name) – then there is no rebirth’. One will attain mukthi. Ramanyana has been translated in many languages for the benefit of all devotees. Based on these books, research has been done for the Authentication of the places in the journey. All the incidence of Ramayana must have taken place 15 lakhs years ago. Whatever may be the timeline, let us not waste our time in discussing it. The details of this journey is already given by our ancestors, we are only following those instructions. 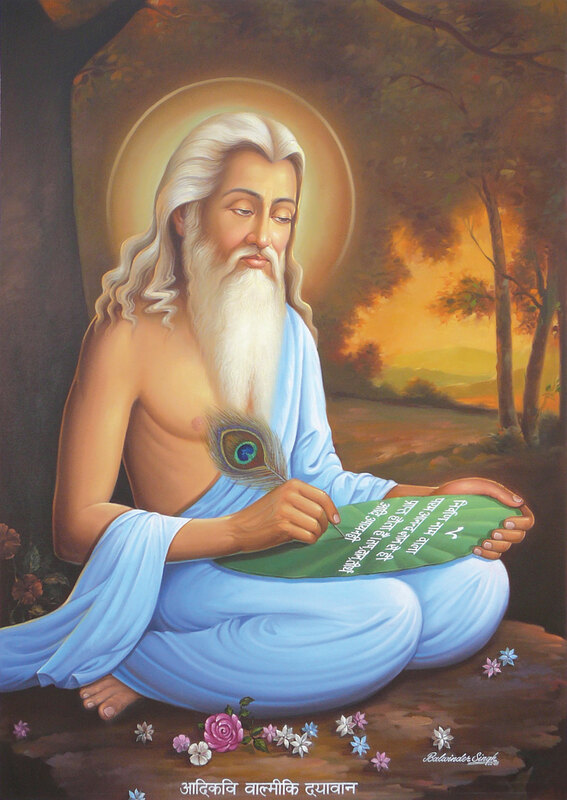 The first and foremost among them is The Great Valmiki.